A quick command in Run turns File Explorer into an at-a-glance display for all your installed programs and Windows Store apps. Say what you will about Windows 8, but the operating system's All apps screen was handy for quickly viewing all your installed programs. 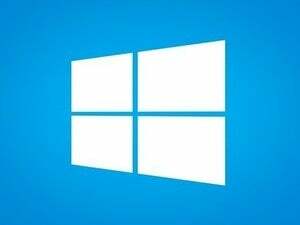 On Windows 10, you can scroll through the Start menu, but that isn't the same thing. The Windows 10 full-screen Start doesn't help either since you still end up scrolling through the same single-column list just at a larger scale. Besides, who wants to use the full-screen Start full-time on a PC? An easier option is to uncover Windows 10's all-applications view in File Explorer. Using a simple command, you can get a listing in File Explorer showing all your installed programs. The run window in Windows 10. First, press the Windows key + R to open the run command window. Then type shell:AppsFolder into the text entry box and click OK, or hit Enter. File Explorer will now open with a view to all your applications, including Windows Store apps and system utilities. To view as many applications as possible, simply hit the maximize button in the upper-right corner of the window. Bonus tip: this command also works in Windows 8 and 8.1. File Explorer's applications view is a little messy since it's basically showing you everything that's in your Start menu. 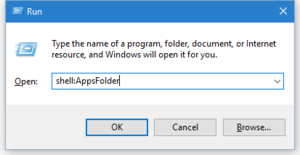 This will include PDF documents, website links, program-specific uninstall utilities, as well as the actual programs—although that's really no different from the all-apps screen in Windows 8. This little trick is a great way to see at-a-glance what programs are on your PC or to create shortcuts for them on the desktop. What you shouldn't do from this screen is start uninstalling items with a right-click. That's better handled from the Control Panel or Settings > System > Apps & features, otherwise you might uninstall something you're not supposed to touch.